We offer high performance range of Rewinding Machines for unmatched printing solutions. The products printed from this machine are delivered in forms or sheets, as folded in various sizes as well as rewound into a new roll. 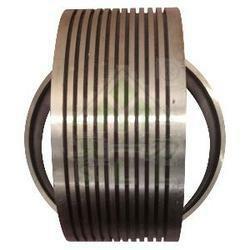 Such production is also termed as continuous (non-stop) roll-to-roll production. This machine is designed to produce high quality rolls in a variety of material.